(W) Dan Jurgens (A) Patrick Zircher (CA) Mikel Janin. 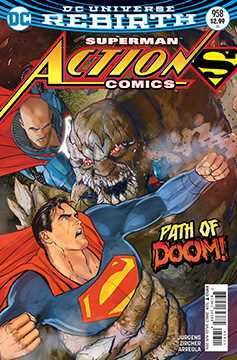 PATH TO DOOM chapter two Luthor and Superman must put aside their differences and face the common threat of Doomsday, as Jimmy Olsen and the Planet staff try to uncover the truth: who is the man claiming to be Clark Kent? THEY SAID IT: Superman is synonymous with the word superhero, says artist Patrick Zircher. Hes the greatest. 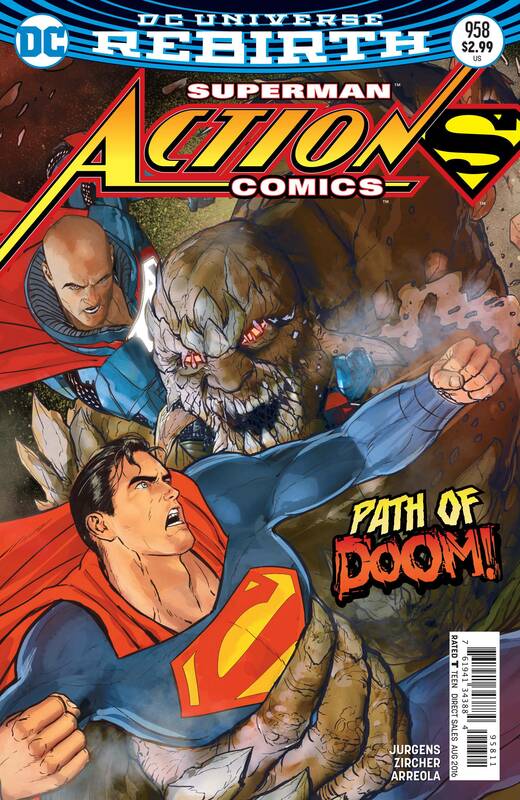 Drawing ACTION COMICS fills me with a passion to make great comics.. Sorry, chum. The limit is one!